In his famous essay, “War is the Health of the State,” Randolph Bourne made an important distinction between country and state. One’s country is “an inescapable group into which we re born.” As such, “there is no more feeling of rivalry with other peoples than there is in our feeling for our family.” Country is “a concept of peace, of tolerance, of living and letting live,” wrote Bourne. 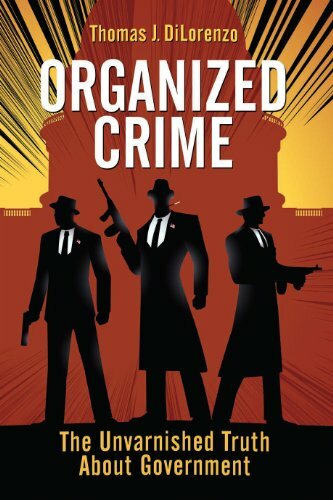 The history of the American state, by contrast, is one of “making war, obstructing international trade, preventing itself from being split to pieces, punishing those citizens whom society agrees are offensive, and collecting money to pay for it all. “With the shock of war,” however, “the state comes into its own again.” War is the health of the state. It is the reason given for high taxes, internal revenue bureaucracies, pervasive spying, censorship, military conscription, the abolition of civil liberties, heavy debt, an explosive growth of government spending and borrowing, extensive excise taxation, nationalization of industries, socialist central planning, massive public indoctrination campaigns, the punishment and imprisonment of dissenters to the state’s rule, the shooting of deserters from its armies, the conquest of other countries, inflation of the currency, demonization of private enterprise and the civil society for being insufficiently “patriotic,” the growth of a military/industrial complex, a vast expansion of governmental pork barrel spending, the demonization of the ideas of freedom and individualism and those who espouse them, and a never-ending celebration, if not deification, of statism and militarism. As this is being written the U.S. government is spreading the tall tale that the Syrian government allegedly killed some 100 of its own citizens with poison gas. President Obama announced last year, quite conveniently, that that is what would cause him to “cross the line” and wage war on the Syrian government despite the fact that the Syrian government poses no threat of harm to any American. It is a replay of the last lie to start a war – the Bush administration’s lie that Saddam Hussein’s Iraq possessed “weapons of mass destruction” that somehow threatened Americans. That was quickly proven to be a lie, but it was too late. As Randolph Bourne wrote, once a war is started most Americans become slavishly obedient to the warfare state and tend to believe all of is lies, no matter how spectacular they may be. (The first Persian Gulf War of the early 1990s was partly “justified” by the lie that Iraqi soldiers were pulling the plugs in hospital nurseries where prematurely-born Kuwaiti babies were dying). Barely twenty years after the U.S. Constitution was ratified the “virus of imperialism” infected quite a few American politicians who believed it was their “manifest destiny” to invade and conquer Canada. 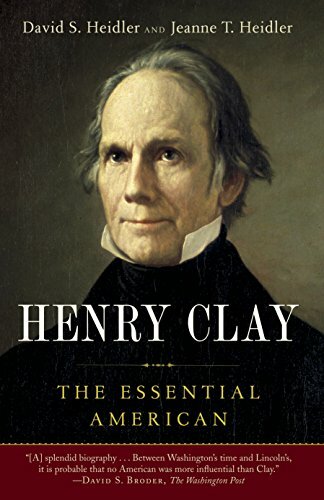 One of the congressional leaders of the early nineteenth-century war party, Henry Clay, celebrated the declaration of war on June 4, 1812, by declaring that “Every patriot bosom must throb with anxious solicitude for the result. Every patriot arm will assist in making that result conducive to the glory of our beloved country” (David and Jeane Heidler, Henry Clay: The Essential American, p. 98). Among the “official reasons” for the invasion of Canada in 1812 were the alleged “impressment” of American sailors by the British government, but that had been going on for decades, as Justin Raimondo has pointed out. The tall tale was also broadcast that the “evil” British were encouraging Indians to attack American settlers. The real reason for the war, however, was an impulse to grow the state with an imperialistic war of conquest. The result of the war was a disaster – the British burned down the White House, the Library of Congress, and much of Washington, D.C. Americans were saddled with a huge war debt that was used as an excuse to resurrect the corrupt and economically destabilizing Bank of the United States, a precursor of the Fed. Polk’s gambit worked; he did provoke the Mexican army. In his war message to Congress he then declared that “Mexico has passed the boundary of the United States, has invaded our territory and shed American blood upon the American soil. . . . As war exists . . . by the act of Mexico herself, we are called upon by every consideration of duty and patriotism to vindicate with decision the honor, the rights, and the interests of our country.” This con game of provoking a war by showing up on another nation’s border, heavily armed with weapons aimed at the hoped-for belligerent, would be repeated many times in subsequent generations, right up to today’s provocation of a war in Syria. The invasion and conquest of Mexico enabled the U.S. government to acquire California and New Mexico at the cost of some 15,000 American lives and at least 25,000 Mexican casualties. It was an aggressive war of conquest and imperialism. 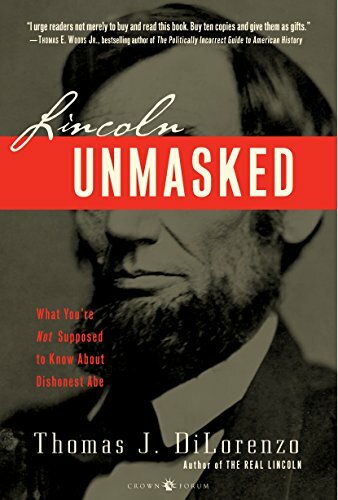 But of course the states of the lower South, having seceded, did not intend to “collect the duties and imposts” and send the money to Washington, D.C. Lincoln committed treason (as defined by Article 3, Section 3 of the U.S. Constitution) by levying war upon the free and independent states, which he always considered to be a part of the American union. By his own admission (and his subsequent actions), he invaded his own country over tax collection. The Republican Party of 1860 was the party of protectionism and high tariffs. The Confederate Constitution had outlawed protectionist tariffs altogether. The result would have been a massive diversion of world trade to the Southern ports which would have forced the U.S. government to reduce its desired 50 percent average tariff rate to competitive levels (10-15 percent), depriving Northern manufacturers of this veiled form of corporate welfare, and depriving the government of the revenue it needed to pursue its “manifest destiny” of a mercantilist empire complete with massive subsidies for railroad corporations (among others). Lincoln’s dilemma was that he knew he would be condemned worldwide for waging a bloody war over tax collection. Another excuse for war had to be invented, so he invented the notion of the “mystical,” permanent, and non-voluntary union. He did not want to be seen as the aggressor in his war for tariff revenue, so he hatched a plot to trick Southerners into firing the first shot by sending American warships to Charleston Harbor while steadfastly refusing to meet with Confederate peace commissioners or discuss the purchase of federal property by the Confederate government. He understood that the Confederates would not tolerate a foreign fort on their property any more than George Washington would have tolerated a British fort in New York or Boston Harbors. starting the war. 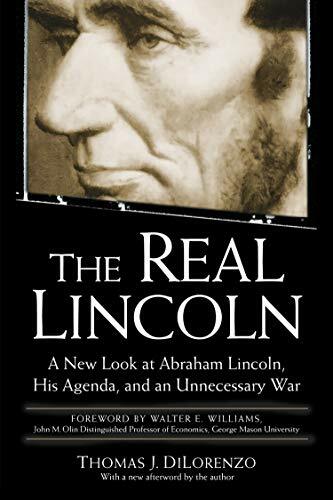 Lincoln responded with a full-scale invasion of all the Southern states and a four-year war that, according to the latest research, was responsible for as many as 850,000 American deaths with more than double that number maimed for life. Immediately after the “Civil War” the U.S. government waged a twenty-five-year war of genocide against the Plains Indians “to make way for the railroad corporations,” as General Sherman declared (See my Independent Review article, “Violence in the American West: Myth versus Reality”). Then by the late 1880s American imperialists wanted to kick the Spanish out of Cuba where American business interests had invested in sugar and tobacco plantations. An American warship, the U.S.S. Maine, was sent to Havana in January of 1898 to supposedly protect American business interests from an insurrection. On February 15, 1898, a mysterious explosion sunk the ship, killing 270 sailors. The Spanish were blamed for the explosion despite a lack of incriminating evidence. “You furnish the pictures and I’ll furnish the war,” newspaperman William Randolph Hearst famously said to the artist Frederic Remington, implying that, armed with the artist’s illustrations, his newspapers would generate war propaganda. The U.S. government waged war with Spain occupied Cuba for the next four years, making the world safe for American sugar and tobacco corporations. 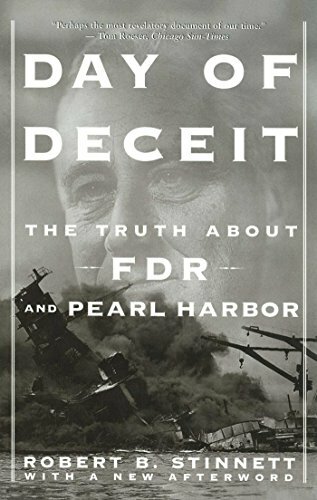 Robert Stinnett, author of Day of Deceit: The Truth About FDR and Pearl Harbor, is a World War II veteran who had a career as a journalist with the Oakland Tribune and BBC for several decades after the war. 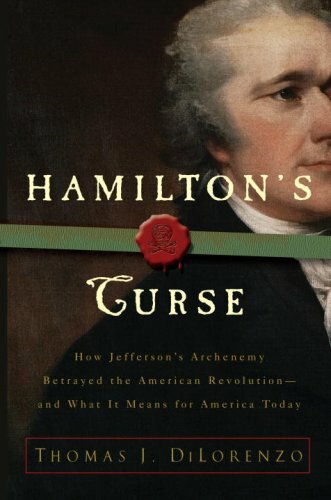 He researched his book upon discovering, in 1993, that the U.S. Naval Security Group Command had decided to place into public archives at the University of Maryland hundreds of thousands of Japanese military messages obtained by U.S. monitoring/spying stations prior to Pearl Harbor. These records had not been seen by anyone since 1941. What Stinnett found was that, just as the vast majority of Northerners did not favor war on the eve of Fort Sumter in 1861, the vast majority of Americans eighty years later supported the America First non-interventionist movement led by Charles Lindbergh. Eighty percent of the American public was non-interventionist in 1940-1941. After Germany “made a strategic error” by signing a treaty with Japan,, a U.S. Lieutenant Commander Arthur McCollum of Naval Intelligence apparently saw an opportunity to counter the America First movement by provoking Japan into attacking the United States and getting the public behind war. Using the government’s own sources, Stinnett found that President Franklin D. Roosevelt adopted an Office of Naval Intelligence plan to provoke Japan into attacking Pearl Harbor with an eight-point plan, the most important of which was keeping most of the U.S. fleet parked as sitting ducks at Pearl Harbor. When the commander of the U.S. fleet, Admiral James Richardson, objected to allowing his sailors to be slaughtered by the Japanese, FDR fired Richardson and replaced him with Rear Admiral Husband E. Kimmel. On October 30, 2000, President Bill Clinton signed into law the National Defense Authorization Act that, among many other things, acknowledged that Kimmel and Short were denied crucial military intelligence about the Japanese fleet prior to the Pearl Harbor attack. Kimmel and Short were fired by FDR after the attack, but were exonerated fifty-nine years later. Shortly before his assassination in November of 1963 President John F. Kennedy had begun recalling U.S. military “advisors” from Vietnam. His successor, Lyndon Johnson, was hell bent on waging total war in Vietnam. Once again the American public had little interest in a civil war thousands of miles away in Asia, but were easily duped into acquiescing in one. Once again the ruse involved mysterious occurrences involving battle ships in the middle of nowhere, where the only accounts of the incidents came from the U.S government. American warships hovered around North Vietnamese ports. This included the USS Maddox. Placing the ships in harm’s way was Johnson’s FDR-type strategy to provoke an attack by the North Vietnamese, and it succeeded. It may seem trite, but it is nevertheless true that those who fail to learn the lessons of history are bound to repeat its mistakes. Americans are about to repeat the same mistake of squandering their blood and treasure on another military adventure (in Syria) that has nothing whatsoever to do with defending American freedom – or anyone else’s. To study imperialism and anti-imperialism more intensely, consider signing up for my new five-week online course on the subject through the Mises Academy beginning the evening of September 9.